The concept of Basara began to become popular after the failure of the Kamakura bakufu regime. It refers to showing off, dressing in gaudy, flamboyant robes, often showing Chinese influence. He was known as the Basara daimyo (feudal lord); the term 'Basara' was associated with a school of Japanese aesthetics that challenged traditional ideals during the period of the Northern and Southern Courts. 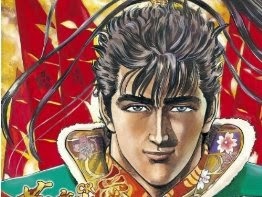 He is portrayed in the epic Taiheiki as a paragon of elegance and luxury, and as the quintessential military aristocrat. 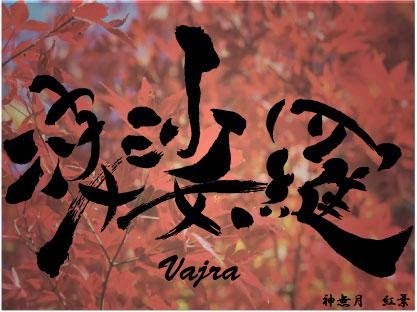 He exemplifies the extreme of extravagant taste known as "basara" where “the love of the extraordinary and accumulation of objects was paramount", and hosted events such as the twenty day long flower viewing event at Oharano. ..... Basara activities were banned in the Kenmu Code, which was the fundamental code of laws for the shogunate established by Takauji Ashikaga 足利尊氏 in 1336. ..... Basara represents a particular aesthetics in which people disregarded social class or rank, laughed scornfully at authorities such as court nobles or the Emperor, and esteemed fashionable and glamorous garments or behaviors; it was considered to be a type of behavior that was manifested in gekokujo (an inversion of the social order in which the lowly people reigned over the elite), which flourished in the subsequent Sengoku period (the period of warring states). 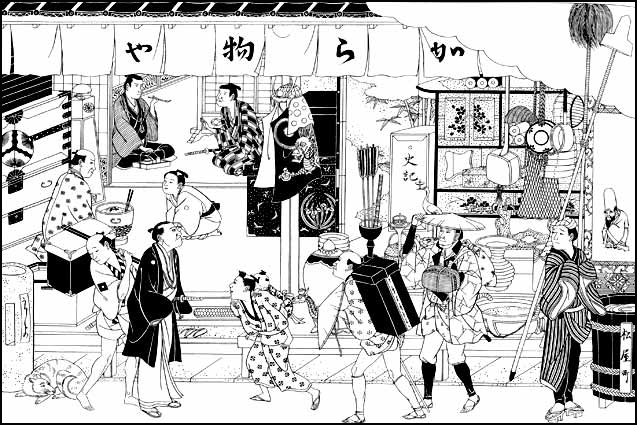 ..... At the time of the Kenmu Restoration, although Emperor Godaigo declared an imperial decree of 'interdiction of extravagant behavior' as a part of his administrative reforms, it could not put a stop to the trends of the time, basara (extravagant, madness, and eccentric behavior) and furyu (splendor). 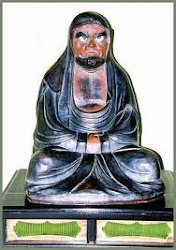 ..... As a term, gekokujo 下剋上 was in use from the Kamakura period through to the period of the Northern and Southern Courts (Japan); examples of gekokujo include the scoundrels that started to appear near the end of the Kamakura period who fought against the authorities in order to protect their own vested interests, as well as the anti-authoritarian social movement known as "basara" ("vajra" in Sanskrit) that occurred during the Nanbokucho period. ..... Karamono 唐物was the item from Kara (China or Korea) as according to the word, and it was greatly popular as unique goods by the Basara culture such as Gucci and Cartier of modern times and was a nuisance for intellectuals such as Kenko YOSHIDA 吉田兼好, but Yoshimitsu favored it and became an authority in that field. These things were brought to Japan as early as the Heian period. In the Edo period, most dealers lived in Nagasaki. Karamono were quite popular as items for the Tea Ceremony. 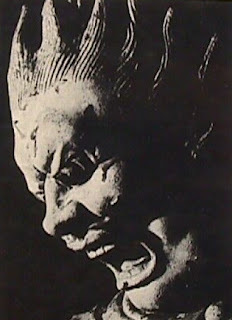 Kabukimono (かぶきもの also spelt 傾奇者 or 歌舞伎者, kabukimono) appeared between the end of the Muromachi era (1573) and the beginning of the Edo period (1603) personified basara – furyu. In many cases, they were self-proclaimed samurai but actually jobless outlaws dressed in flamboyant clothing, combining colors such as yellow and blue and often accessorizing by wearing kimonos meant for women as cloaks, or velvet lapels. They also often had uncommon hairstyles and facial hair, either styled up in various fashions, or left to grow long. Their swords would often be unusually big and have fancy hilts. Some true samurai, busho (武将, Busyō, warlords) of the Sengoku Period (戦国時代, Sengoku jidai, Warring States Period, roughly from the middle of the 15th century to the beginning of the 17th century) were seen as kabukimono. For example, Nihon Zuihitsu Taisei, an Edo period essay called Nagoya Sanzaburo, a busyo in the 16th century, a kabukimono. A manga,Keiji (花の慶次 -雲のかなたに, Hana no Keiji -Kumo no Kanata ni- lit "The Flowery Keiji: At the Other Side of the Clouds") depicts one of the other real busyo, Maeda Kei’jirō (alias) of the Sengoku Period. Sengoku Basara: Samurai Kings (戦国 BASARA) is an anime and manga series also portray such warlords. Derived from action video games, it doesn’t necessarily along with the real history and teems with weird characters and futuristic gadgets; it spawns new phenomenon, reki-jyo( 歴女), woman history buffs who is mad originally about busyo in the Sengoku Basara, then history in general. 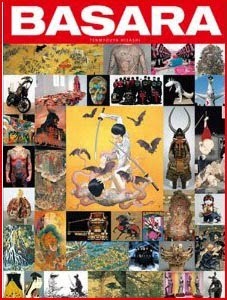 Exhibition "BASARA" was held in Tokyo, curated by the Japanese contemporary artist Hisashi Tenmyoya. Tenmyoya is an artist who revives the traditional Japanese painting in an contemporary style named "neo-Japanese art". His artwork in on the left side of the image above, one man pointing his sword to the other man. This exhibition is focusing on the Japanese art and trying to rebuild its history by connecting the Japanese culture in our time and the traditional one. "BASARA" is a word that expresses the climate ignoring their own rank of status and slighting to the authority, also the aesthetic consciousness preferring to wear gauderies and spending too much money. This climate happened in the beginning of 14th century in Japan and led the "Gegoku-jyo" movement, which is era of "the low overcomes the high". Marugame Basara Matsuri is a festival of modern dance organized in Nara since 2000. Young and old, men and women, in big and small groups, in diverse multicolor attires and face-paintings, sway and bend their bodies to the music from squawking speakers powered by Diesel engines.
. 十二神将 Twelve Heavenly Generals . The most common terms for aesthetics and design will be introduced here.